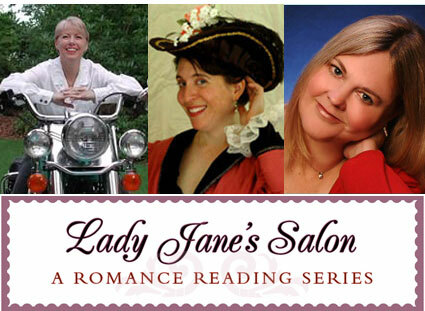 It’s the first Monday of the month, and that means it’s time for Lady Jane’s Salon, the reading series for romance novelists that helps generate donations for Share the Love, a non-profit organization that donates used romance novels to women’s shelters. This month’s guests include Dianna Love, one-half of the writing team behind Anthea Lawson, and Dee Davis, with a special appearance by Susie Felber, who will tell us about her mother, the late Edith Layton. The show begins shortly after 7 p.m. at Madame X (94 W. Houston Street, New York NY), and the cover is $5 or at least one used romance novel. Every show has been a blast so far, and the audience keeps growing—I hope you’ll join us!